By the time reliever Chad Green finally mopped up the mess - and not before giving up an RBI single to Steve Pearce and a two-run triple to Brock Holt - the Red Sox had sent 11 men to the plate, scored seven runs and put themselves in position to clinch a berth in the AL Championship Series against the Houston Astros with a win Tuesday night in Game 4. Bucky Dent threw out the first pitch ahead of Game 4 of the American League Division Series in the Bronx, some 40 years after his go-ahead, three-run home run crushed Boston fans' hearts in a one-game AL East tiebreaker. And the Red Sox plated 12 runs off them in 17 innings this series. "So that ended up affecting the Cy Young-type of season that he was having and affecting his performance when they needed him the most". 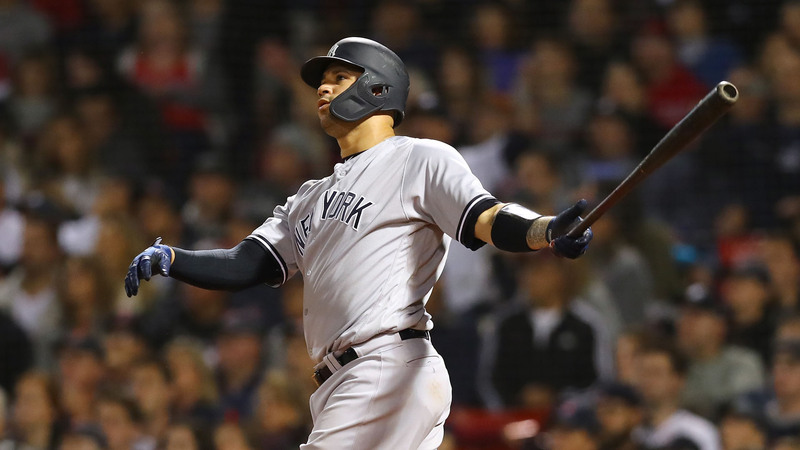 A Gary Sanchez sacrifice fly that reached the left-field warning track made it a one-run game. Brasier, Barnes and Workman struggled in Game 1 while Rodriguez gave up a three-run bomb in Game 2. "I think one of their goals in this series was to keep us in the ballpark, and then coming here where we're so good at that, they were able to do it. Credit to them for being able to hold us down and shut us down, but in the end, you don't move on usually when you can't get enough big hits in a series, and they just outplayed us a little bit". And with the opportunity to deliver in the postseason, Stanton came up small. Shortly before the game began, TBS aired footage of Severino going down to the Yankees bullpen 10 minutes before the game, throwing his first pitch off the mound at 7:32, or eight minutes before he was due on the real mound for. Still, nothing Boone did or didn't do with his pitching staff would matter if the Yankees couldn't score. Boone said Hicks was doing "significantly better", and sitting him was a much more hard decision than it was Saturday. The Yankees bullpen was the class of the league, with four proven closers ready to come out at any time. Asked whether Hernandez was the reason the Yankees lost, Sabathia responded: "Not at all". The big lefty was ejected from his last regular-season outing for hitting Tampa Bay catcher Jesus Sucre with a pitch during a testy game between division rivals on September 27.